As every RVer knows, safety is paramount when it comes to using and enjoying your RV. But it’s amazing how easy it is to forget to do the most simple tasks before jumping behind the wheel and driving away. How many times have you seen RVs cruising down the road with the TV antenna up? You’re thinking, “Yeah, but that will never happen to me!” Well, if you own an RV long enough it probably will happen to you. All it takes is one moment of forgetfulness and you’ll join the rest of us who have already experienced that “oops!” moment. BUY NOW! 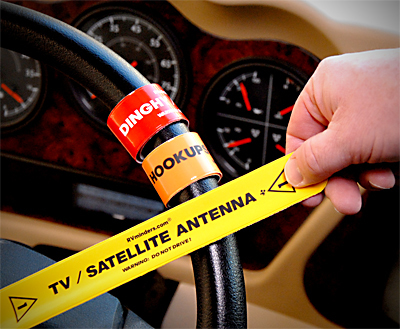 But antennas aren’t the only thing RVers must remember to check! Even experienced RV owners know it can be overwhelming to keep track of all the things that need to be done in order to ensure a safe trip. And nobody’s memory is perfect. It's easy to forget something like closing the roof vents, disconnecting the water hose, retracting the jacks, or putting the dinghy in neutral. Unfortunately the consequences of even a simple mistake can be disastrous and expensive to repair. Checklists are okay, but only if you remember to use them, and they don’t actively catch your attention to warn you when you’re about to do something stupid. Fortunately there is a virtually fool-proof method of making sure your RV is ready to roll. 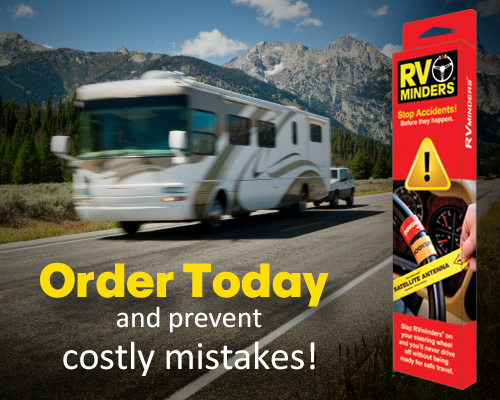 RVminders are the cheapest, fastest, and easiest way to prevent costly and embarrassing mistakes that will happen whenever you start driving your RV before it is fully ready for safe travel. Whether you’re pulling out of a campground after a long stay or leaving a rest stop after a quick lunch break, RVminders will help you avoid making a costly mistake. 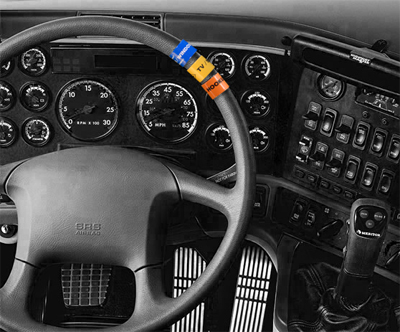 With RVminders prominently wrapped securely around your steering wheel, you can’t help but notice them. If there is an RVminder on the wheel -- then you know right away that your rig is NOT ready for safe driving. RVMinders help you avoid making stupid mistakes! For less than $25 you can save yourself huge repair bills, costly insurance deductibles, wasted time waiting for repairs to be completed, and painful embarrassment from a dumb mistake or a moment of inattention. 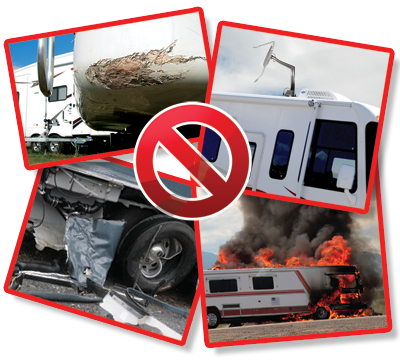 Whether you’re driving a motorhome or pulling a trailer, RVminders won’t let you down. RVminders are the perfect solution for novices, seasoned experts, and everybody in-between. Because everyone’s needs are different, RVminders #9 and #10 are blank so that you can customize them however you want. We recommend using a permanent marker to neatly spell out whatever it is that you need to be reminded of. BUY NOW! Slap RVminders on your steering wheel and you’ll never drive off without being ready for safe travel. How can RVminders help keep your family safe? An RVminder on your steering wheel sends a clear message that can't be missed: DO NOT DRIVE! If you like the convenience of leaving your compartments unlocked while you're parked in a safe and secure campground, RVminders will help you to remember to lock them up again at rest stops, parking lots, stores, or anytime you’ll be away from the coach. Have you ever driven away from a campsite while the TV antenna was still up? RVminders can help prevent that mistake from ever happening again. Do you need to re-activate your insurance policy every spring before your first trip? Why not use a Sharpie to write “Insurance” on RVminder #10 and then I put it on your motorhome's steering wheel or at the end of the season? As any military pilot will recognize, RVminders are basically the same thing as the “Remove Before Flight” streamers that are used on jets. The only difference is that RVminders are placed on the steering wheel (where they can't be missed) rather than on the outside of the aircraft. Many removable ladder extensions that hang from the rear of a motorhome look like they belong there, and it can be very easy to forget to stow them. You can put RVminder #6 on the steering wheel to remind you. RVminders aren’t limited to use on the steering wheel. You can slap them on your wrist or even the grab-handle at the entrance to your rig. Have you ever put your rig in gear when the jacks are still down? Use RVminder #5 to prevent that mistake. Do you ever bring in your slides temporarily at night while you're parked in a rest stop or when high winds are in the weather forecast? When the slides are in, but not locked, put RVminder #3 on your steering wheel to warn you before driving. If you keep your bikes stored on your bike rack while you're camping, RVminder #6 can be used to warn you whenever the bikes aren’t actually bungeed down, locked up, and ready for safe travel. Have you ever started to drive only to find that one of the the roof vents, windows, interior door locks, or the fridge door is not secure? RVminder #7 will keep that from happening. Have you ever turned off the propane while you're driving and forgotten to turn in back on? RVminder #9 makes a perfect reminder. Do you have a dinghy that needs to be idled once or twice a day during rest/fuel stops? You can use RVminder #2 to warn you whenever the dinghy's engine is running, or when the transmission is not in neutral, or for any other reason that it's not ready to tow. Have you ever accidently left your motorhome parked someplace when the dinghy wasn't locked up? Why not put an RVminder on the entry-way grab handle of your motorhome to remind you when the dinghy’s doors are unlocked or the key is still in the ignition? 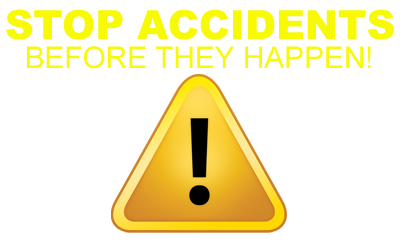 Please send us an email and let us know how YOU use RVminders to keep your family safe.